It's been three months since Kanye West delivered his relatively sparse seven-song album ye, but for some reason, he's still on a press tour. The outspoken and controversial pop culture figure appeared on the radio this morning to discuss his terrible slavery comments and his supposed Drake feud. 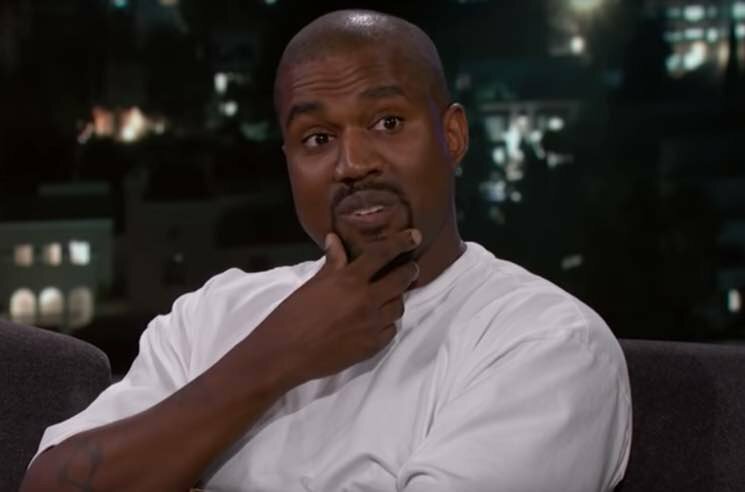 Though some are billing his comments as an apology, Kanye made sure to dress up his statement with plenty of defences and explanations during his interview with Chicago radio station WGCI 107.5. "When I hear anything about an entire powerful group of people being held captive for 400 years, it sounds like a choice to the spirit of Kanye West, which I think is aligned with the spirit of Harriet Tubman — and let me finish," he said. "Which I think is aligned with the spirit of Nat Turner. In my non-historical opinion, I feel that these are examples from the past of people who felt similar to that, even if it was worded incorrectly in the white mans' tongue. The fact that we're having this conversation in English is a form of slavery." From there, he delivered his apology. "I want to take this moment right now to say I'm sorry for the one-two effect of the MAGA hat into the slave comment," Kanye said. "I'm sorry to people who felt let down by that moment." As for his beef with Drizzy, Kanye said, "When we was talking about the Drake thing, it hits me in a really sensitive place 'cause people hang around your family and be in your house and then they get mad about a beat and send purple demon emojis," he said. "It ain't no beef. Ain't nobody got no beef. Nobody going to jail. I'm not calling nobody to do nothing. I don't do that. I make beats, I'm here for a reason. The universe is on my side."